Find out how BCL supports island efforts for a healthier world. 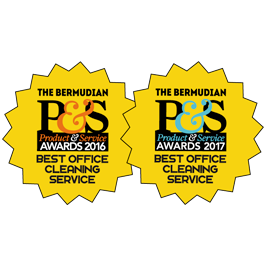 If you’re looking for a professional, reliable cleaning company, Bermuda Cleaning Limited is here to help. Our trained staff offer exceptional residential, commercial and carpet cleaning services that leave homes and businesses sparkling. Over several decades, we’ve built a reputation based on quality work and individualized attention. As a subsidiary of the Bermuda Cleaning Group of Companies, we are proud to announce our recent amalgamation with carpet specialists Town and Country Carpet Limited. Our suite of services has expanded significantly and can be tailored to suit your budget and requirements. We take pride in doing it all – from weekly residential visits to steam cleaning, corporate janitorial work and area rugs. Commercial emergency services including flood response are also available 24 hours a day, 7 days a week; contact us today. Looking to stock up on commercial cleaning supplies? Contact our sister company Bermuda Janitorial Supply Limited.